long/short, event driven, relative value, tactical trading/macro, and multi-strategy. 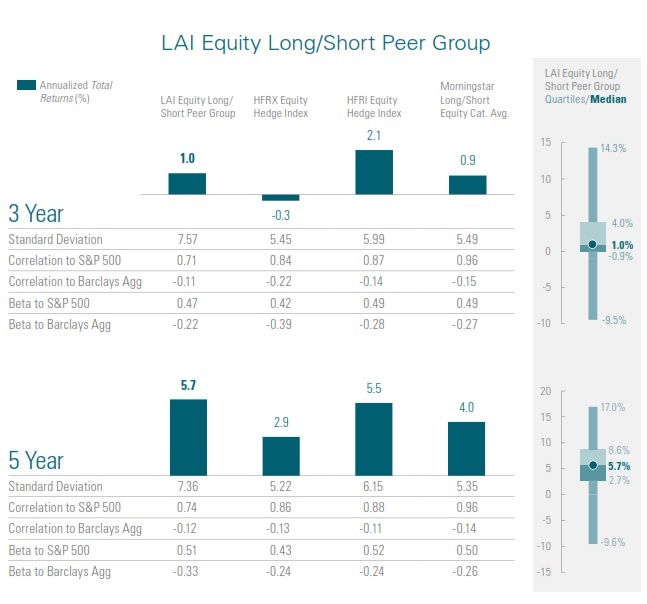 Investors can use these LAI Peer Groups to evaluate alternative mutual funds relative to other LAI and similar hedge fund strategies. 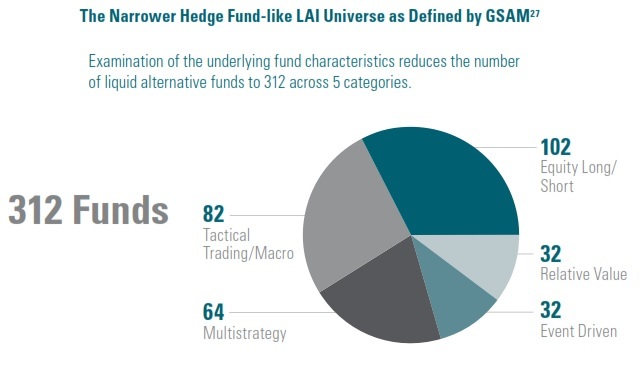 GSAM has compared the returns, risk, and diversification benefits of the five LAI Peer Groups (as in the pie chart above), relative to the most relevant hedge fund indices and Morningstar category averages, over the past one, three, and five years (ended December 31, 2016). 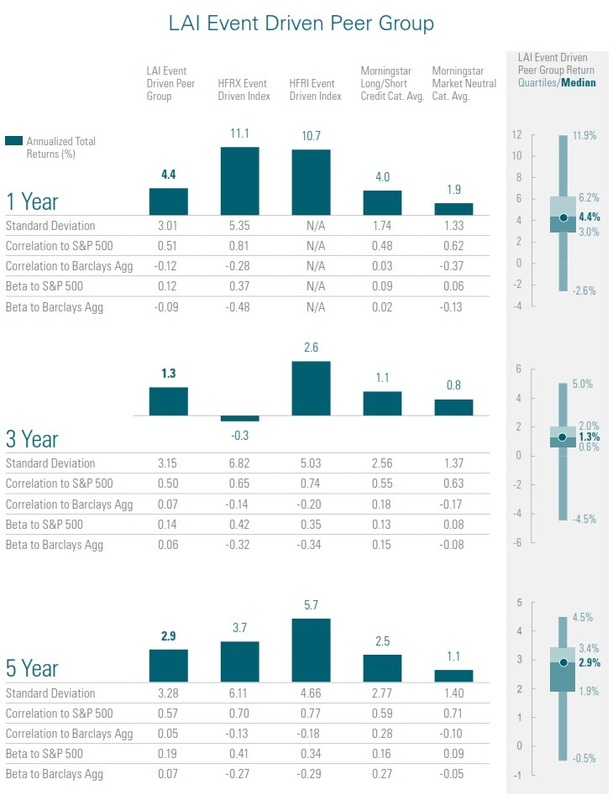 An example of the 3 and 5 year analysis is given below for equity long/short. 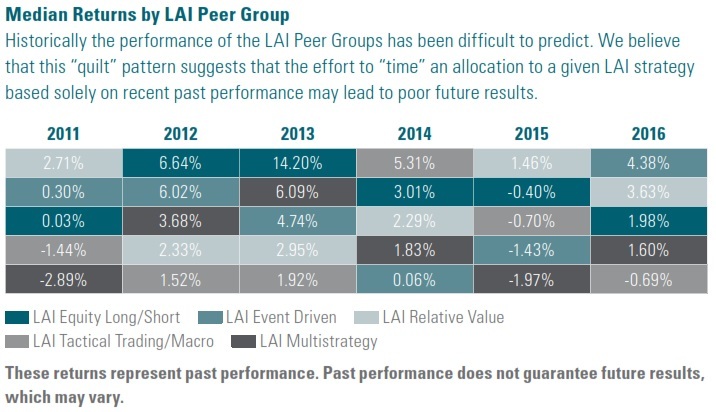 The LAI Event Driven Peer Group Funds invest in equity or debt securities in order to potentially profit from corporate events, such as mergers and bankruptcies. 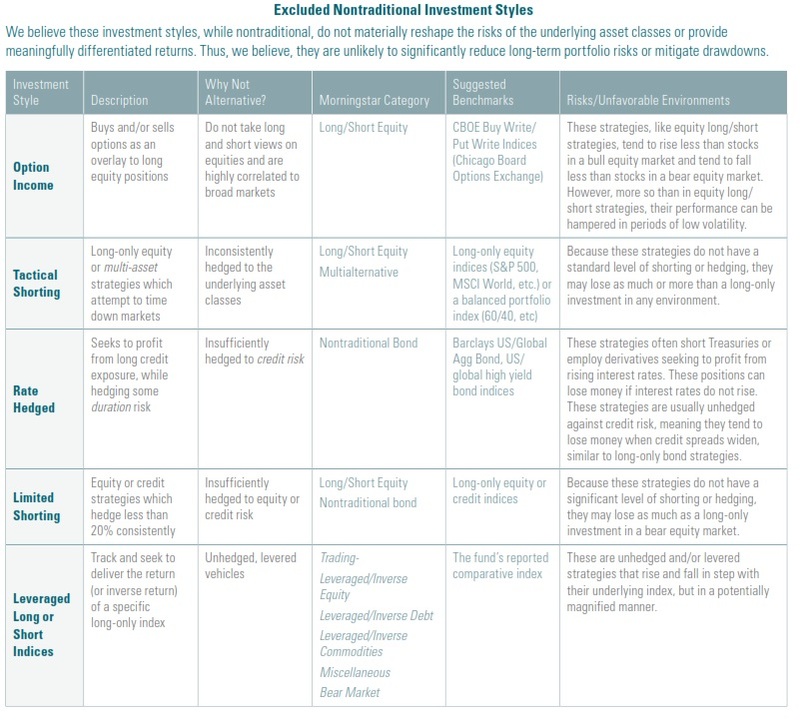 Please note that these strategies include merger arbitrage and long/short credit. 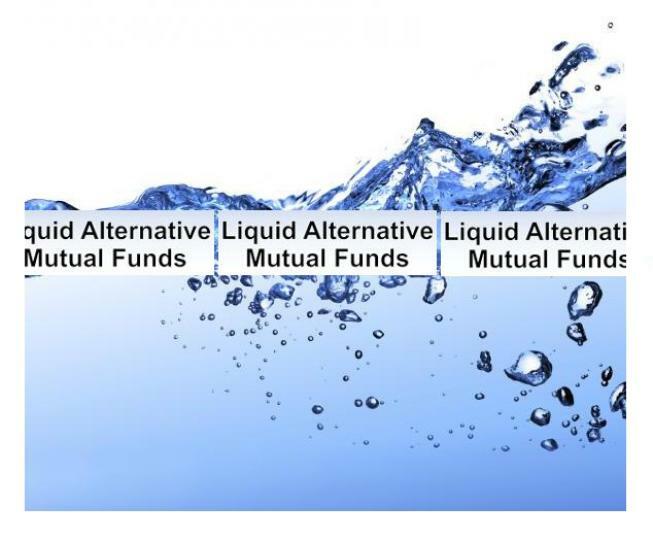 HOW HAVE LIQUID ALTERNATIVE INVESTMENTS PERFORMED RELATIVE TO PRIVATE PLACEMENT HEDGE FUNDS? 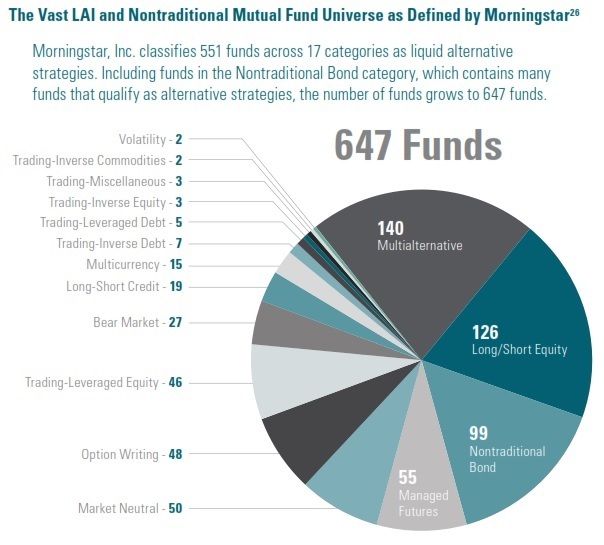 Considering our narrowed universe of funds, we find that equity long/short, tactical trading/macro, and multi-strategy liquid alternative solutions historically have provided mutual fund investors with a reasonable proxy for traditional hedge fund strategies. However, event driven and relative value strategies historically have translated less effectively to a daily liquid format. We therefore believe that mutual fund investors looking to achieve some of the potential portfolio benefits of event driven and relative value strategies may be better off accessing them through a multi-strategy solution.